The healthcare sector has a massive amount of employment opportunities, a figure which increases by the day. As a result, medical staffing agencies are always busy helping hospitals, clinics, and other healthcare facilities fill their available positions. This demand is expected to continue into the foreseeable future. While many people think of typical jobs like nurses and doctors when they think of healthcare employees, there are many interesting careers in healthcare beyond these two roles. 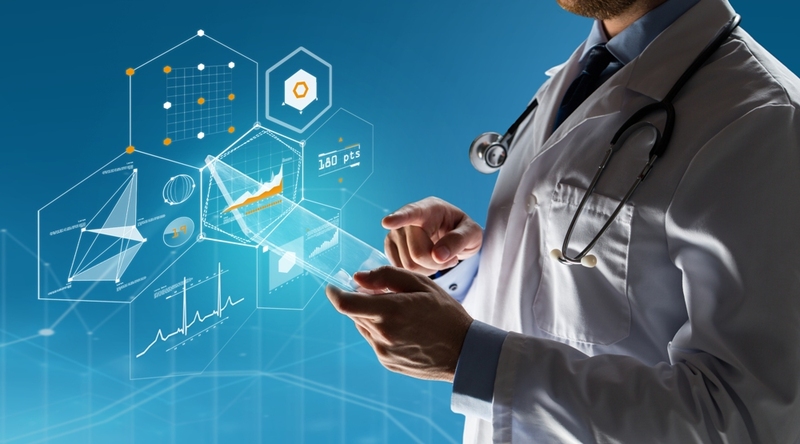 Better yet, there is new cutting-edge technology being adopted into the medical field each and every day, much of which gets used by those working in highly specialized areas of healthcare. Most people think of ultrasounds as a way to gauge the development of a fetus for expecting parents, but ultrasound technology is used to diagnose a wide variety of medical conditions. The ultrasound technician is responsible for operating the ultrasound machine and is perhaps one of the most exciting jobs in the hospital. This amazing technology allows the healthcare staff to see inside the body and exposes any problems with internal organs. The ultrasound technician is also known as a diagnostic sonographer and not only experiences the operation of state of the art technology, but they are also highly respected members of the healthcare staff. Radiologists are practicing physicians, but unlike many other physicians, radiologists rarely interact with patients. Instead, they are considered to be doctor’s doctors; their job is to read digital images taken from different radiology machines then express their findings to the physician, who communicates the information with the patient. Because of their highly specialized expertise, radiologists are some of the highest paid doctors and also have great flexibility with their job location, being able to work remotely. Radiologists are familiar with some profoundly groundbreaking technology and it is one of the best choices for those wanting a medical career that involves high-tech. A career in the medical lab is a great option if you want to incorporate technology with your healthcare career. Medical labs are where cures for diseases are found and many medical lab workers find the work very rewarding. This job is good for someone who wants to work in the healthcare industry but does not want to interact with patients because most of the time lab workers are doing just that; working in the lab. All the lab technology available today will introduce the worker to some of the most state-of-the-art advances in biology and medicine. Some people might forget that the healthcare field is just like any other field and requires employees in all different areas. This includes professionals working as Healthcare IT workers. This job is perfect for those who are fascinated with computer technology and also an interest in healthcare or medical field. With the advent of the HITECH Act which calls for electronic health records, there have been even more jobs added in the Healthcare IT area. There is a wide array of different career paths to take within the Healthcare Information Technology field. There is a great need for database administrators, systems managers, and network administrators just to name a few. Because the healthcare and medical sectors employ so many people, this field will require more and more employees going forward. Becoming a healthcare IT professional may be the best route if you want to get your foot in the door into the healthcare world. The ongoing demand for healthcare professionals goes beyond traditional doctors and nurses, as much as these positions are both valuable and sought. Better yet, these other healthcare-related careers involve some of the latest in medical research and treatment technology, as well as responsibilities more along the lines of an IT professional than medical personnel.